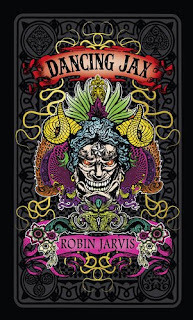 It was a dark and stormy night... Well, not really but that's the general atmosphere in the opening chapters of Robin Jarvis's Dancing Jax an odd tale that, suitably, takes it's readers on a long and meandering dance through some strange and depressing territory. The book opens on a band of friends breaking into an abandoned house. As well as a lot of rather icky mould, the house contains a conservatory full of strange fruit, an ancient metal throne and, most importantly, several copies of a book named Dancing Jacks. Leader Jezza is instantly entranced by the story that the book tells – one of royal courts, mad jesters and noble (and not so noble) lords and ladies. With his encouragement, his friends are slowly sucked into the story and copies of the book start to make their way into the larger community of Felixstowe with surprising and sinister affect. Dancing Jax has no one protagonist, rather the narrative moves from one point of view to another, using an increasingly large cast of characters. In the earlier sections of the novel Sheila, one of the initial scavengers, features a little more prominently. She, vitally, provides a pair of objective eyes through which the reader can watch Jezza's machinations first hand. Later, the narrative is carried mainly by Martin a local secondary teacher, who's years in the classroom have imbibed him with cynicism and malaise. Of the many and varied viewpoints, the most striking is that of Conor, a fifteen year old who is already disillusioned with his short life. One of the reasons, however, that Conor is such an enjoyable character to read is that he is one of the few in Dancing Jax who seems to have genuine compassion and humanity. In fact, other than an old piano teacher (who has a small but interesting role) he was the only character in the real world aspect of this book that I actually liked. The central conceit of Dancing Jax is that the pages of the strange book found in the old house, are so entrancing that readers begin inhabit the fictional characters – compelled by some dark force to believe that real life is nothing but a colourless dream. To be honest, were I living in the Felixstowe of Robin Jarvis's imagination then I would be pretty compelled to escape into a book too. There is nothing positive in Jarvis's vision of modern Britain. From almost the first page, characters go on lengthy diatribes about the state of society – covering issues such as the influx of technology, youth culture and influence of the media. The characters spouting their opinions are, almost without exception, embittered, hypocritical bigots and I despised the lot of them. Even, I suspect, those I was meant to like. 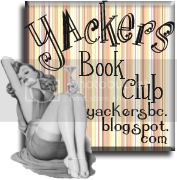 Where the book comes alive, is in the sections taken from Dancing Jacks itself. The fantasy world of the book involves a hierarchy based on a deck of cards and is absolutely fascinating as well as being darkly sinister – like the residents of the town, I found myself keen to return. 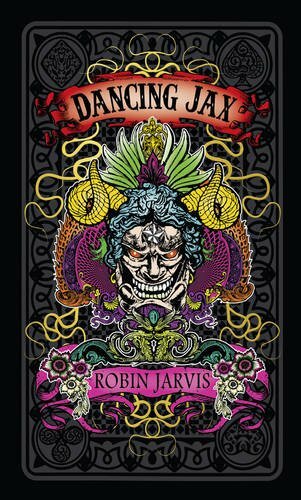 Clever as this is – and it really is, with Jarvis managing to elicit the same response in readers of Dancing Jax as seen in the readers of Dancing Jacks - it doesn't quite redeem what I ultimately found to be a frustrating reading experience. The book riffs on themes that range from the influence any canny faction can have over a collapsing society to the danger of an all intrusive media to the power of the written world. Often it's interesting, but more often the plot gets lost in a convoluted mish mash of ideas, characters and relentless pop culture references. Dancing Jax is the first in a series of books, which is just as well as none of the questions that I had were actually answered during the course of the book. It is certainly an original title – I've never read anything quite like it – and is compelling in it's own, strange way being at times reminiscent of works by Stephen King (in particular Needful Things) and Clive Barker yet it's not particularly successful as a coherent story. Perhaps I am missing the point; while reading, I periodically suspected that Robin Jarvis was doing something awfully clever that I just didn't understand. However, in retrospect I would have to surmise that, interesting as this novel is, for me it never amounted to more than the sum of it's rather confounding parts. Dancing Jax is available now – thank you to Harper Collins for sending me with this title to review. Dancing Jax has a beautiful cover and sounds intriguing. 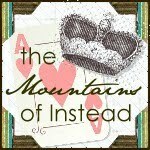 Always looking for something different to read, adding this to my tbr pile. I've read part of this one so far, and I've been waiting for the more confounding aspects to click into place. It's definitely creepy and compelling. I like your balanced approach in this review. Hmmm.... I knew I wouldn't enjoy this for the scariness. But I now know that I would hate the changing perspective in the narrative too. Sounds like it has a really comples format. Such a thorough review as always. The book was enjoyably overall but I didn't enjoy the fact that nothing was really explained, and it ended with a giant cliffhanger. Long time Robin Jarvis fans would be aware that Jarvis has not published sequels to at least two book series' that he started in the last decade. I only hope that Dancing Jax sees a book 2 next year.